The leaders of Cyprus, France, Greece, Italy, Malta, Portugal and Spain have said EU citizens should have more say on EU policy to combat populism. 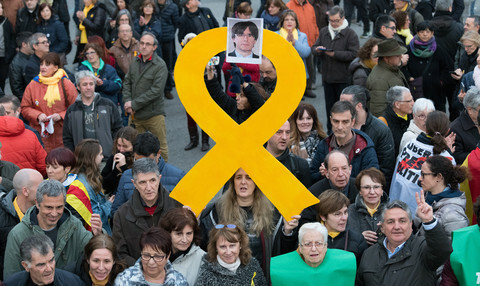 They said in a joint statement at a summit in Rome on Wednesday (10 January) that so-called 'citizens' consultations' were needed to "foster democracy and citizens' participation." The consultations are to be organised next spring "all over Europe," the statement said, to ask people what they think should be the "core priorities" of the EU. The project was first floated by French leader Emmanuel Macron in his election campaign and championed, again, in his new year speech. They are to be organised on the basis of "specifications" that European Council president Donald Tusk should outline to involve all European regions, Macron said. Speaking in Rome on Wednesday, Maltese prime minster Joseph Muscat said reaching out to hear the views of people from "zones where there is no economic growth" and where the risk of rising populism was the greatest should be at the heart of the initiative. Italian leader Paolo Gentiloni added that since European economies were experiencing a "positive moment, this is the right time to make an effort for greater European cohesion". The southern European group also embraced another one of Macron's ideas - create transnational lists of members of the European Parliament for the 2019 EU elections as a tool, the Rome declaration said, to "strengthen the democratic dimension of the Union." The Rome event was the fourth of its kind since September 2016, when Greek prime minister Alexis Tsipras launched the idea of a creating a new "southern front" to influence EU policy making on issues like migration, economic growth, social equality, and employment. The meeting comes ahead of an EU summit in March and amid deliberations on the future of migration and economic and monetary policies. Most of the seven southern states are on the frontline of migration flows to Europe and want to see greater burden sharing on asylum seekers. France was in the "second line" on migration, Macron said. 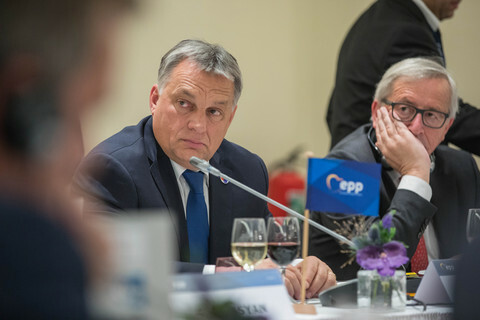 Their views are opposed by eastern European countries in the so-called 'Visegrad group' - the Czech Republic, Hungary, and Slovakia - which boycotted an EU migrant quota system. 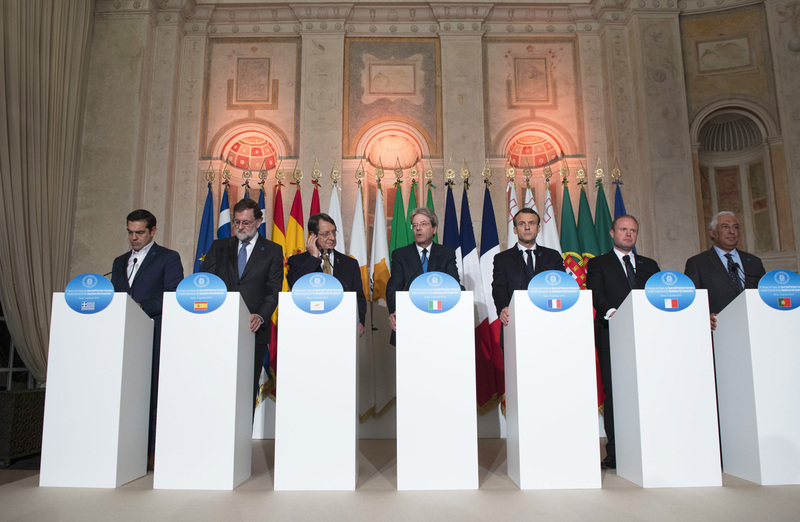 Gentiloni, the summit host, in a dig at the Visegrad club, said on Wednesday that the southern countries "aren't a group characterised by a separation from the rest of Europe". He also noted that the seven countries together contributed to 41 percent of the European budget and should therefore "have a say" on EU issues. 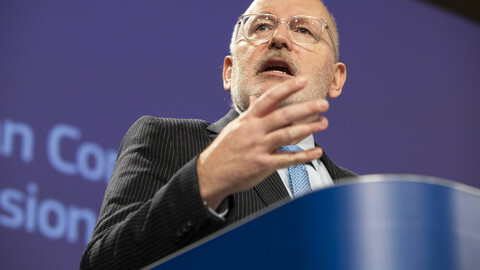 His reference to the EU budget comes amid European Commission discussions on whether to punish the EU migration policy rebels by withholding some funds in the next financial period. "Our fundamental role and burden of protecting those [EU] borders must be acknowledged and shared by the EU," the Rome statement said. They called for "a common European migration policy, to prevent irregular flows as well as to address the root causes of mass migration". They also called for "a new and fair Common European Asylum System based on the effective respect of the principles of responsibility and solidarity, especially towards frontline member states". Europe's south was also the worst hit in the financial crisis, with four out of the seven states needing EU bailouts and with high unemployment continuing to linger. 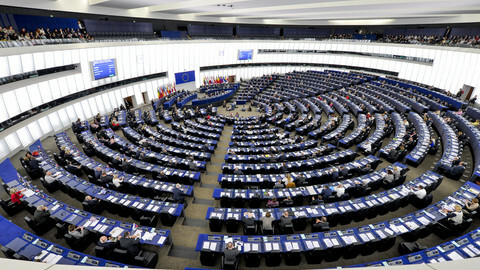 Following years of EU-imposed austerity, they called for policies that promoted "economic growth and social wellbeing". 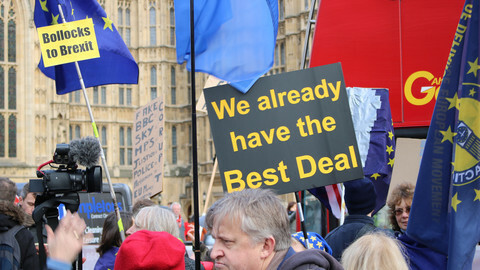 They also said the EU should take steps toward "a common backstop to the Single Resolution Fund and a European Deposit Insurance Scheme" for the sake of greater common involvement in protecting people from failed banks. 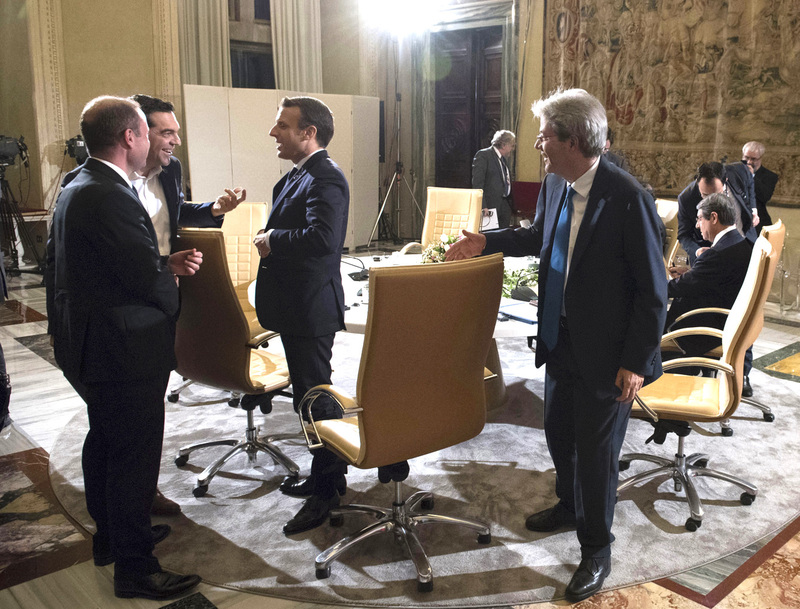 Ahead of the summit, Macron and Gentiloni started work on a "Quirinal treaty" to strengthen bilateral relations between Italy and France for the sake of a "more organic and systematic coordination on European issues," according to a French communique. 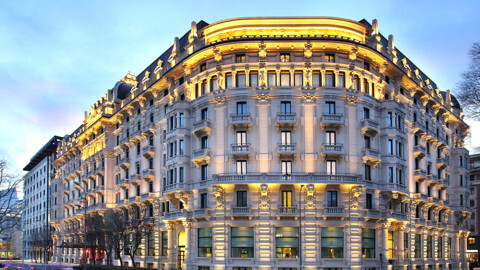 The treaty, named after the Italian presidential palace, follows the model of the "Elysee treaty" that Paris signed with Berlin in 1963 to mark the beginning of a new era of cooperation. The idea is to have the treaty ready by the next intergovernmental summit, to be held in Italy in 2018. Gentiloni and Italian president Sergio Mattarella will meet Macron on Thursday to push forward the scheme. The Italian prime minister also met Tsipras on Wednesday ahead of the summit to discuss security issues and immigration. The next southern meeting is to be held in Cyprus amid hopes that UN-mediated talks could shortly lead to reunification of the island. "We closely follow and reiterate our support for a viable comprehensive settlement of the Cyprus problem," Wednesday's statement said. 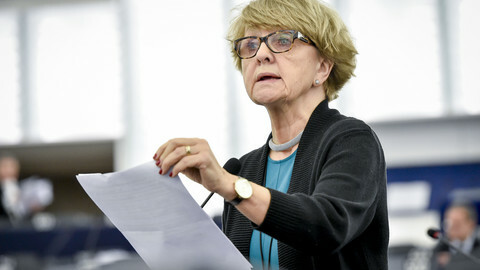 MEPs working on the future composition of the post-Brexit European Parliament say there is no legal basis to create a system of pan-EU euro-deputies. 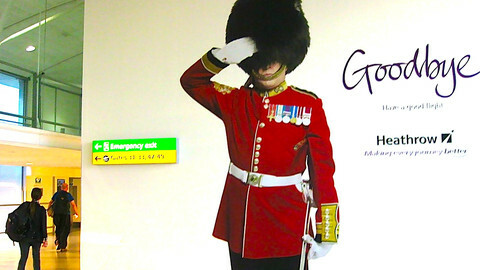 The UK has received more money from an EU migration fund than any other EU state. It then used most of that money to kick people out of the country.